Here’s another installment in my occasional series of capsule reviews, this time covering new releases by indie/self-released artists. My self-imposed limit for this particular exercise is 150 words on each album. I make no apologies: I love powerpop, but I’m not an uncritical fan of the genre. Some of it’s near-transcendent, and some of it feels by-the-numbers. Though The Brittanicas get mostly positive critical notices, they don’t knock me out (don’t get me wrong: I don’t dislike ’em a bit). But one half of that duo is Australian Joe Algeri, and he’s gone walkabout and crafted a solo set under the moniker The JAC. 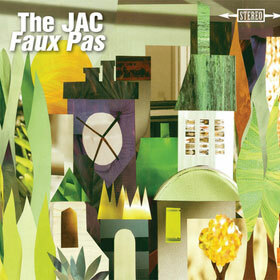 Faux Pas is a lovely collection of jangly, wheezy-organ, hooky rock pop of the first order. The opening track, “I Play All the Instruments” tells you all you need to know about The JAC, and does so in grinning, catchy style. Algeri has a number of stylistic tricks – bits of Italian lyrics, backward guitar and chiming Ricks – up his sleeve. As, too, is a bonus disc of covers that show the man’s peerless taste. Subtlety and variation are the watchwords on this release. An unusual suite of songs, Invisible Paradise often leans strongly in an art-pop direction, but there are strong classical (chamber music) tones, some really aggressively hard-rocking passages, and definitely a strong whiff of progressive-rock mentality. But all of those disparate-on-paper elements are woven together into a thrilling joyride of an album. This is music that hits you squarely with a one-two punch, to both the head and heart. 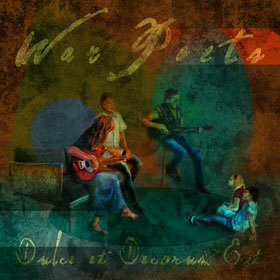 The soaring beauty of the arrangements is set against some stomping rock-centric playing. The whole damn thing runs the length of an old-school album (about 38 minutes) and it all tumbles together. If you like your music widescreen and melodramatic without being pretentious, you’ll dig this. Imagine Dixie Dregs crossed with Zappa and Opeth. 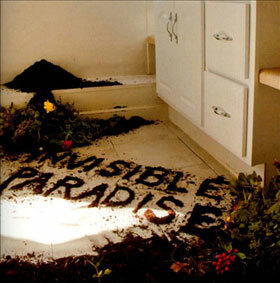 Invisible Paradise is perhaps the best new thing of its kind in quite awhile. Track it down and enjoy. Imagine if John Mellecamp (they called him Johnny Cougar back when I saw him open for The Kinks) had a stronger pop sensibility, but held onto his mid-America lyrical vision. If that transformation took place, he might just change his name to Brian Lisik. A good-timin’ bunch of songs that owe as much to The Replacements as anything else, the songs on The Mess that Money Could Buy will appeal to those who like their rock friendly and accessible, full of singalong choruses and head-nodding beat with just the right amount of twang to keep things grounded. Lots of those chiming suspended guitar chords abound, and the rhythm changes up often enough to hold the listener’s interest at a high level through the record’s eleven songs. 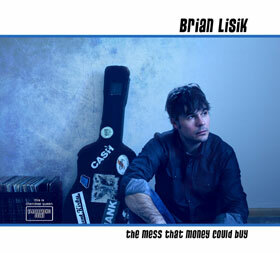 And – this is important – although it is credited to Brian Lisik, the album feels and sounds like the work of a band. Who would have ever thought that when in Nashville for last fall’s Americana Music Association Conference and Festival, I’d bump into an online friend at a show (the Big Star tribute). But that’s exactly what happened: though songwriter Patrick Potts wasn’t there specifically for AMA, we met and shared an indeterminate number of beers. 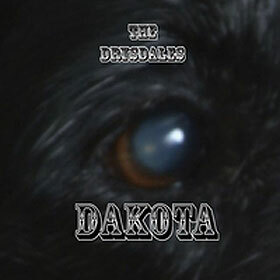 But that’s not why I’m here to tell you about Dakota, the new CD from his band The Drysdales. No, I mention it ’cause it’s good. Stonesy rock with a higher emphasis on dual-lead harmony vocals, The Drysdales sound like what Mick and his pals (circa 1972) might sound like if they showed up in your living room and played. Without the smack, of course. If you need more of a recommendation, consider two heavy friends who dropped in to help out on the record: Jon Brant (Cheap Trick) and Brad Elvis (Elvis Brothers / Handcuffs). Yeah.